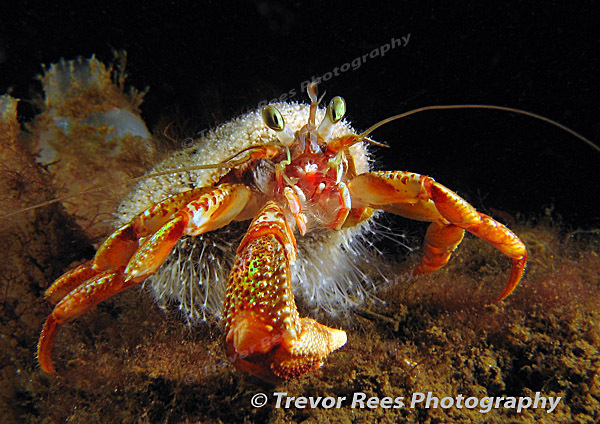 A hermit crab from a Scottish loch. The growth of white colonial hydroids on this hermit crab contrast with its silty habitat. - voted 'runner up' in a BSoUP print competition and 3rd place in the 2008 BUIF festival.